Too much vitamin C proves it's indeed possible to get too much of a good thing. While toxicity is rare, an excess of the vitamin could lead to side effects such as indigestion and iron overload. To avoid such problems, it's best to monitor your vitamin C intake, especially if you have a pre-existing health condition. Vitamin C (ascorbic acid) is a water-soluble essential vitamin needed for normal growth and development. Since the body is unable to produce the nutrient on its own, it must be part of a daily diet. All fruits and vegetables contain vitamin C, with citrus fruits being the best known of the lot. However, there are many other excellent sources, including broccoli and red peppers. Vitamin C's antioxidant properties are said to defend the body from colds and infection as well as accelerate healing. To see vitamin C in action, consider an apple that's been peeled. Once exposed to the air, the apple begins to turn brown due to the oxidation process. However, squeeze some lemon juice over the apple and the browning slows. The antioxidant effect of vitamin C slows the oxidation process. Your body uses vitamin C in a similar way to counteract free radicals. The vitamin's presence has been linked to the prevention of ulcers and even cancer. By fortifying the immune system, vitamin C helps strengthen the body against deterioration. Yet too much of the vitamin could have adverse effects as well, although this generally depends on a person's individual health history. What are the risks of too much ascorbic acid? While it is rare for the body to overdose, side effects from megadoses of vitamin C are possible. For instance, vitamin C aids in the absorption of iron in the body. However, for people with hemochromatosis (an inherited condition of iron overload), supplemental vitamin C is not recommended as it can further complicate the condition. Independent researchers who study the effects of vitamin C have divergent opinions on what is the proper daily intake. Promoting the nutrient's therapeutic effects, some groups recommend intakes far higher than the RDA. For instance, the Vitamin C Foundation recommends people get 3,000 mg/day. 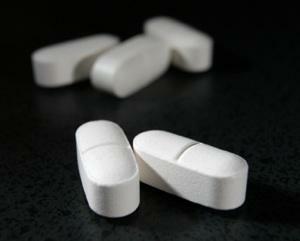 The Linus Pauling Institute sets the bar at 400 mg/day. Conflicting information such as this often confuses people as to what is too much. As with hemochromatosis, research suggests some health conditions could be complicated by megadoses of vitamin C. Precautions for patients with gout, sickle-cell anemia, and cirrhosis should be taken. Vitamin C is used in the treatment and prevention of scurvy. Other conditions where vitamin C may be considered include anemia, high cholesterol, and gingivitis. Vitamin C supplements are commonly available in doses of 500 mg and 1,000 mg. Given the nutrient's association with cold prevention, many people have chosen to supplement their diets with vitamin C pills. 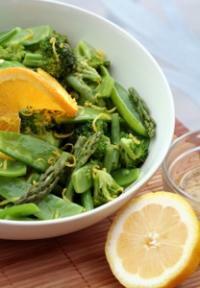 Naturally rich: Citrus and broccoli. However, it should be noted that the RDA for most adults can easily be met through consumption of whole foods like broccoli, Brussels sprouts, strawberries, and citrus fruit. The possible adverse effects of megadoses should also be factored into the equation.